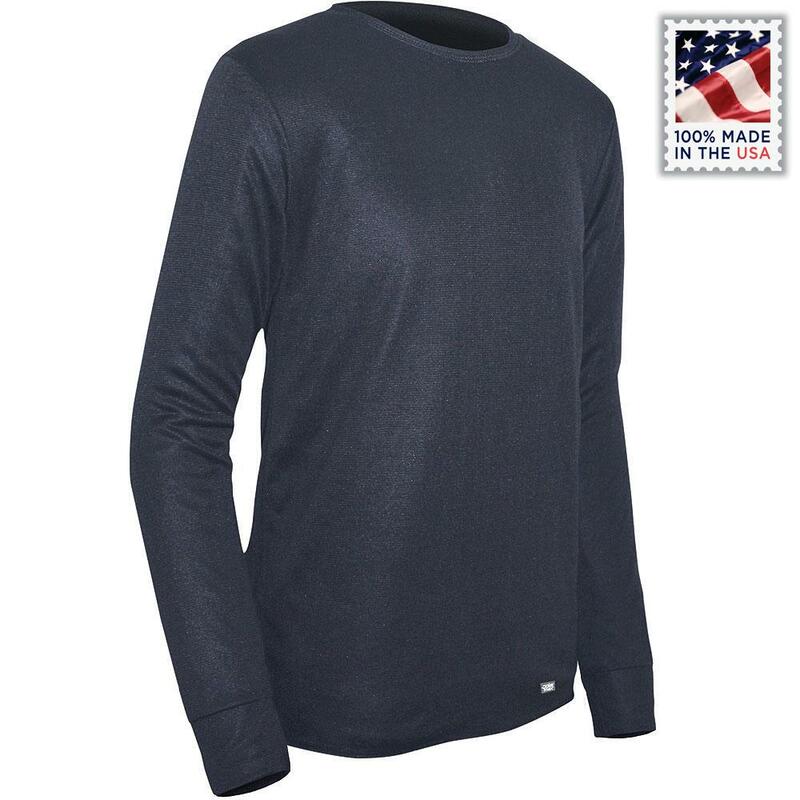 Keep kids warmer even in cold conditions in the Polarmax Double Layer Baselayer Top. This warm thermal top is a heavier weight to add extra insulating warmth and is also really breathable. This means that when kids are active moisture and excess heat will be released instead of building up, freezing up, and then making them cold. "What fabric is this made of? Would you recommend Hot Chilly's double layer or Polarmax double layer for warmth and wicking." "The material is 100% Acclimate Dry Performance." "When I look at the kids' unisex Polarmax Dbl. Layer Crew sizing chart, it gives men's sizes. Can you help me figure out a size for a 34" chest?" "A 34" chest will actually be moving into a men's size Small." "Which size do you recommend me for 7 old daughter? I'm interested in thermal pants too. Thank You. " "Using the size chart for this brand, she should be a small for both top and bottoms." "The double layer hot chilly shows in the description a rating of 7. Does this have a warmth rating? Just trying to figure out which would be better for keeping warm. We are going to Canada and it's pretty cold there. Thanks. " "Polarmax has a different way of rating their thermals, they classify them into Warm, Warmer and Warmest. This Polarmax Double Layer Crew is classified as "warmer", for the maximum warmth get the Polarmax Heavyweight Pants ." "The size chart for Polarmax for kids just seems off. For example, you can order an xxs, but that is not in the size chart. My son is 5. That doesn't seem to be an option. " "Our size XXS is for sizes 0-2. For a size 5 I would recommend the size Small. This will allow your child to get a lot of use out of the thermal!" "What size would be suitable for my 13 year old son with a 78cm chest?" "I'd recommend a size large for him." "What size would I need for my 3 year old? (she will be 4 in june)"
"When referring to the Polarmax Sizing Chart , your 3 year old should be an XS, however, every child is different and this will also depend on what size clothing she wears as you can see the clothing sizes in parentheses under each size! "